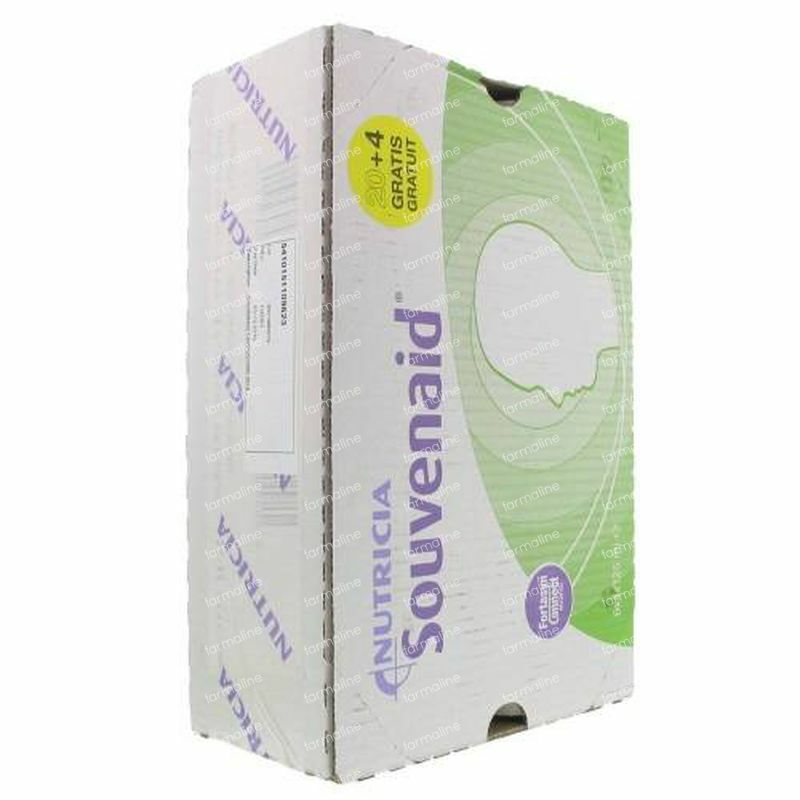 Nutricia Souvenaid Cappucino 24x125 ml order online. Souvenaid has been designed to support synapse formation in people with early Alzheimer's Disease, a progressive neurological disease characterised by amyloid plaque formation, neurofibrillary tangles and synapse loss. Scientific reasearch indicated that people with Alzheimer's disease present lower levels of certain nutrients in the blood, compared to others with the same age. Examples of those nutrients are fatty acids, vitamins and dietary minerals. The metabolism in people with Alzheimer's disease does not function well enough. Souvenaid was developed in order to help these people in taking in sufficient nutrients. Souvenaid comes in three flavours: vanilla, strawberry and cappucino. Souvenaid is a food for special medical purposes for the dietary management of early Alzheimer's disease. It contains a unique combination of nutrients that are difficult to achieve from diet alone. These nutrients are omega 3 fatty acids, choline, uridine, folic acid, vitamins B12, B6, C, D, E and selenium. Souvenaid is a 1kcal/ml, ready to drink, milk based supplement containing vitamins and minerals. Only to be used as a supplement to the normal diet, not suitable as a sole source of nutrition. Souvenaid is not suitable for patients with galactosaemia and contains ingredients obtained from milk, fish and soy. For enteral (oral) use only. For the dietary management of early Alzheimer's disease. Not for parenteral use. Not suitable for patients with galactosaernia. According to professional advice, the recommended intake is 1 bottle (125 ml) a day in addition to the normal diet. Souvenaid is best served chilled. Do not add medications to the food. Shelf life: 12 months. Best before date can be found on the side of the bottle. Store in a dry, cool place (5-25°C). Once opened, close the bottle and store in a refrigerator. Discard unused contents after 24 hours. Not suitable for patients with galactosaernia. Intended for use under medical supervision. Souvenaid cannot be used for replacing a normal diet. Excellent product. Research studies done in animals have shown that it improves recovery from spinal cord injury. Other studies in humans have shown improvements in memory. Tastes great! Excellent product, arrived promptly and when stated. Well packaged. Nice to have the cappuccino flavour as less sweet than strawberry and vanilla flavours.